It’s too bad the Journal no longer regularly carries the kind of information referenced by Brother Little. One of the many goals of the SigEp Patriots Project (SPP) is to provide this kind of information so brothers can get together in brotherhood, but we can only share information we possess. On this date, WI Alpha Brother Everett Roudebush, Class of 1929 at Lawrence College, entered the Army after finishing a concert tour with Salvatore Baccaloni, noted star of the Metropolitan Opera Company. World War I Veteran, Judge (5th Judicial Circuit), U.S. Congressman (Virginia) and VA Eta Brother Private Joel W. Flood, U.S. Army died on this date in Richmond, Virginia. During WWI, Brother Flood served in Company A, 305th Engineers, 80th Division which saw action in St. Mihiel and the Argonne. He completed his military duty in 1919. Before his WWI service, Joel became a SigEp at University of Virginia, and later attended Oxford University. After studying law he was admitted to the bar in 1917 and commenced practice in Appomattox, and was elected Virginia State Commonwealth Attorney of Appomattox County in 1919. Joel served the people of Appomattox County until 08 NOV 1932 when he was elected to the Seventy-second Congress to fill a vacancy. Following is congressional service, Brother Flood resumed the practice of law, and after serving as a delegate to the 1936 Democratic National Convention was appointed assistant United States attorney for the western district of Virginia in 1939. In JAN 1940, Joel was elected as a judge of the Fifth Judicial Circuit of Virginia, and he served in this capacity until his death. Respect can be paid to Brother Flood at the Flood Mausoleum, Appomattox Courthouse Square in Appomattox. World War II & Vietnam War Veteran, UT Alpha Brother Lieutenant Colonel Ray F. Randall, U.S. Air Force (Retired) died on this date. Ray joined the Army Air Corps after graduating from the University of Utah with the Class of 1935. Following his service in Korea, he went to work for the U.S. Weather Bureau out in California as a meteorologist. Respect can be paid to Brother Randall at Riverside National Cemetery in Riverside, CA. On this date, a hero died at Brooke Army Medical Center in San Antonio, Texas as a result of wounds received during combat operations in Habbaniyah, Iraq the previous November. 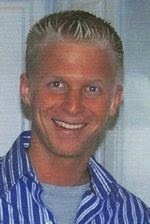 Operation Iraqi Freedom Veteran and MI Beta Brother Sergeant Matthew Alan Webber, U.S. Army National Guard (Michigan) was 23 years old. Matt attended Western Michigan University and joined the Army National Guard in 1999. He was called to active duty in June 2005. Brother Webber was a member of the 1st Battalion, 125th Infantry Regiment (Mechanized), Michigan Army National Guard when he sustained injuries 21 NOV 2005 when an improvised explosive device detonated near his humvee. Respect can be paid to Brother Webber at Pine Plains Cemetery in Big Rapids, MI. Two U.S. Army SigEp Patriots died on this date. World War II Veteran and PA Delta Brother Technical Sergeant Five C. Crandall Shaffer, Jr., U.S. Army of Dublin, Ohio died on this date. Brother Shaffer was a member of the Class of 1943. Respect can be paid to Brother Shaffer at Kingwood Memorial Park in Lewis Center, OH. On the same date, U.S. Army Veteran PA Epsilon Brother Robert E. L. Anderson died in Lancaster, Pennsylvania. After graduating from high school, Robert served in the U.S. Army from 1946 to 1948. Upon the completion of his patriotic service, he brought his leadership experience to PA Epsilon at Lehigh University, where he graduated with a degree in civil engineering and was pole vault champion. Brother Anderson retired from Philadelphia Suburban Co., formerly Huth Engineers. He was past-president of the American Business Club, and a former board member of the Lancaster chapter of United Cerebral Palsy. Respect can be paid to Brother Anderson at Greenwood Cemetery in Lancaster, PA.
On this date, Korean War Veteran VT Alpha Brother First Lieutenant Robert K. Horne, U.S. Army died at his home in Palm Desert, California following a valiant fight against Alzheimer's. The majority of Brother Horne’s Korean War service was in Germany. At Norwich University, Brother Horne played three sports and was captain of the hockey team the 1952-53 season. The team was inducted into the Norwich Hall of Fame in 1993, and in 1998 Bob was inducted individually into the Hall. He was a lifetime member of the Melrose Wyoming Lodge of Masons. His business career included work in Truck Leasing with several companies reaching a pinnacle as a National Sales VP for the Hertz Co. He concluded his career as President of "Trader Horne" - a Transportation Consulting Co. Respect can be paid to Brother Horne at Pacific View Memorial Park in Corona del Mar, California. U.S. Army Air Corps World War II Veteran & Flight Surgeon, NC Gamma Brother Richard E. Nitschke, MD, 97, died on this date. During a medical internship in New York, he enlisted in the Manhattan Division of the 101st horse cavalry, and upon the onset of World War II, he was assigned to the School of Aviation Medicine at Randolph Field in San Antonio. Brother Nitschke served as flight surgeon with the 30th Bomb Group, 5th Fighter Wing and was stationed at Ballinger & Lubbock, TX and Oahu, Hawaii. Richard entered an accelerated undergraduate program at Duke University in 1931, and he was the number one half miler on the cross country track team that won the Southern Conference Championship. 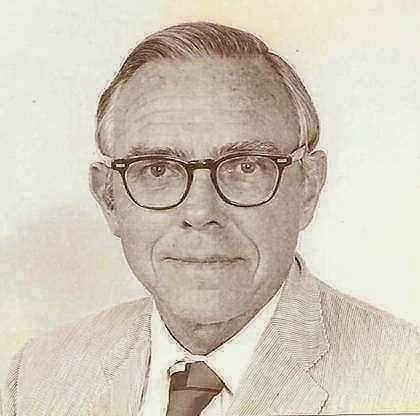 After graduating from the Duke Medical School in 1937, Dr. Nitschke moved to New York City for his internship at Columbia Presbyterian and residency at Roosevelt Hospital. His specialty was internal medicine but he also trained at the Neurological Institute of New York. This is when he enlisted in the 101st. After WWII, Dr. Nitschke was a dedicated physician of Internal Medicine, serving his patients in the San Antonio community from 1946 until his retirement in 1985. On the same date, U.S. Air Force Veteran and IA Delta Brother Thomas M. Hamilton died at his home in Clive, Iowa following a courageous battle with brain cancer. All SPP knows about his military service is that he served after graduating from Drake University. At Drake, Brother Hamilton played football and was a proud member of the 1958 Sun Bowl team. He received his undergraduate degree in business, followed by a Master's Degree in Psychology. After his military service, Thomas began his professional career at Northwestern Bell and then worked with Personnel Inc. before founding Hamilton & Associates in 1972. There he truly found a profession he loved, helping clients achieve success through talent acquisition while taking great satisfaction in assisting individuals in advancing their careers. He merged his business with McGladrey and Pullen in 1988 and worked as a Senior Consulting Partner until he retired from the firm in 1999. He then co-founded Selection Resources with his son and offered advanced pre-employment testing services. He was an accredited SPHR through the Society of HR Management. His career was also highlighted by community service in leadership roles with the Chamber of Commerce, Youth Homes of Mid America, the YMCA, Hope Ministries and the Fellowship of Christian Athletes. He was a member of Rotary International for 43 years and was a "7 Gallon" blood donor to the Blood Center of Iowa. 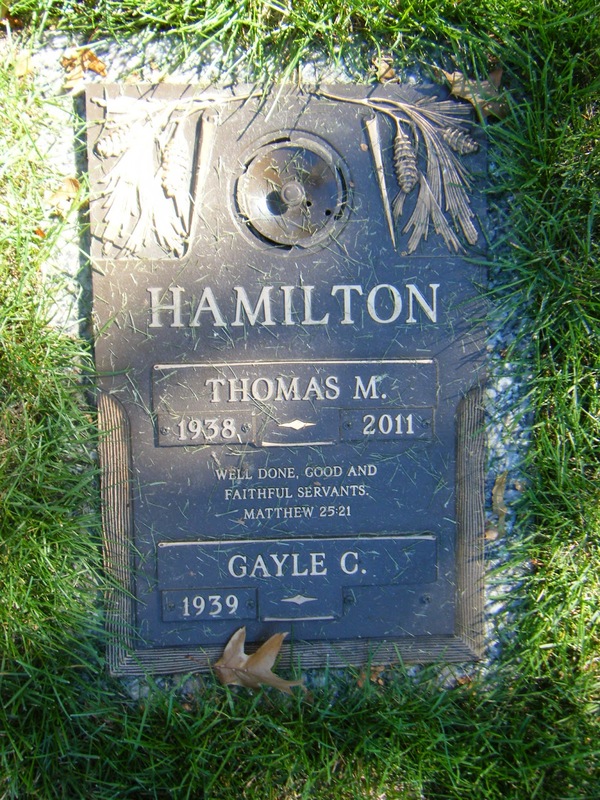 Respect can be paid to Brother Hamilton at Resthaven Cemetery in West Des Moines, IA. On this date, U.S. Navy World War II Veteran IN Alpha Brother Thomas G. Kenyon died at Hunterdon Medical Center in Raritan, Township, New Jersey. Thomas served in the Navy upon graduation from high school, and was a petty officer aboard a landing craft on D-Day during the Normandy invasion. Following his military service, Thomas brought his leadership to IN Alpha and graduated in 1950 with a bachelors in mechanical engineering. Tom was senior manager of packaging services for the Sperry & Hutchinson Company in New York City for many years. He was past president of the Society of Packaging and Handling Engineers and lectured at various universities on package design and distribution. After retiring, Tom worked for many years as a legislative aid for U.S. Congressman Scott Garrett when the Congressman represented the 24th district in the New Jersey State Assembly. Tom was a recognized expert in municipal finance and land use and served on many boards and commissions throughout his life. In 1995, he was appointed to the State of New Jersey Finance Board by former Governor Whitman. In 200, Brother Kenyon was honored by the New Jersey State League of Municipalities with their highest award recognizing his long involvement in both municipal and state government. However, Tom is best remembered for his many years of service to Tewksbury Township. Starting in 1972 with his appointment to the Planning Board, he served the township for over thirty years in various capacities including seventeen years on the Board of Adjustment, two terms on the Township Committee and Mayor in 2002. He will be remembered as an effective advocate for the preservation of natural resources, smart growth, fiscal responsibility and meeting the needs of the community he served. The SigEp Patriots Project (SPP) is very pleased to report that no brothers have reportedly passed away during the week. * SPP is putting together information for the celebration of Memorial Day 2014 at Arlington National Cemetery. If you would like to participate there or hold your own observance near your chapter please email me. * 700! On Friday, the SPP official Facebook group – SigEps Who Serve – reached 700 members. * SigEp Patriot happy hours took place recently at Fort Leonard Wood and Fort Bragg. Write to sigepswhoserve@gmail.com if you are interested in getting together with military brothers in your area. 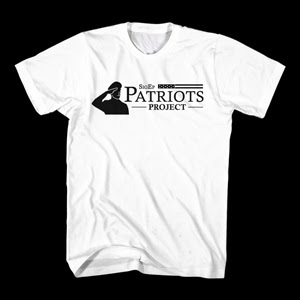 * SPP continues to have our t-shirts sold by SigEpic. Just page down after clicking on https://interstated.com/store/sigepic. * While there are only a few emails sent a month, the SPP email list serve continues to grow. Drop me an email if you would like to be added to the list.